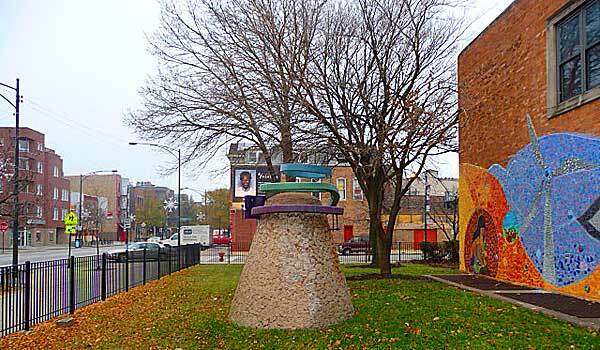 Chicago Public Schools has proposed adding additional students at LaSalle II Magnet School, 1148 N. Honore, and converting the original LaSalle Magnet School in Old Town to a neighborhood school. LaSalle II has experienced considerable change in each of its four years. This year, newly consolidated with Andersen Community Academy, LaSalle II seems to have finally started to seek a level of identity with a basic plan for the future. The new CPS proposal has thrown a large wrench in LaSalle II's gears. The school does not have the faculty or campus to sustain 30 more new students each year for nine years. If the proposed plan is realized, the quality of experience at LII would be severely compromised. An undersized gym, lunchroom and lack of modern campus infrastructure would constrict the working order of an overcrowded student population. The old building (1890) and newer wing (1960) are not sufficient to accommodate a potential 270 additional students. As a language academy, LaSalle II requires labs for language drills as well as computer and science studies. A new playground in the planning phase has claimed the outdoor real estate. Nothing short of a complete demolition and rebuilding of the campus would make room for more students. A promise at LaSalle II's founding to admit neighborhood residents in greater numbers for a magnet school was quickly put aside. An expansion intended to create school capacity in Lincoln Park stands to aggravate capacity issues in East Village. The plan also would strain traffic flow on Honore and Wolcott. A possible 200-plus additional vehicles, plus residents' vehicles from a proposed apartment development at Miller Lumber, would trigger a future traffic migraine. Simply reversing the one-way traffic direction on Wolcott and Honore would do no more than swap the daily am/pm gridlock. Not all parents cooperate with the current Kiss & Go program, and getting more than minimal police attention has been a struggle. Ald. Proco Joe Moreno has set up an emergency meeting with CPS central office personnel and Principal Suzanne Velasquez-Sheehy that could prove pivotal. Good luck to them.